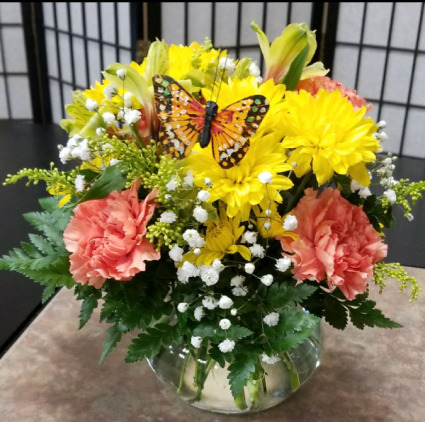 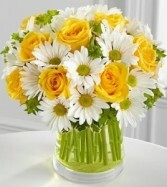 Make 'em smile with vibrant yellow roses and white daisies! 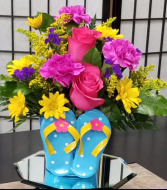 We think a gift of fresh daisy mums and roses is the best way to brighten somebody’s day! 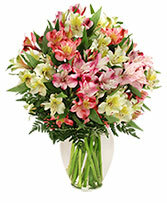 A pleasing variety of alwtroemeria lilies are arranged in a clear glass vase.